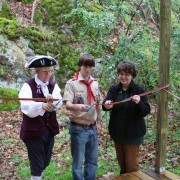 The outdoor classroom, an Eagle Scout project, was built in 2008 and dedicated in honor of André Michaux (1746-1802). Michaux was a French botanist that traveled throughout the world collecting and identifying species of plants. Michaux spent eleven years studying the wildlife of North America while establishing a botanical garden in Charleston, South Carolina. 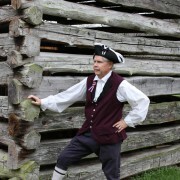 In 1789, he became the first scientifically-trained botanist to visit present-day Tennessee. 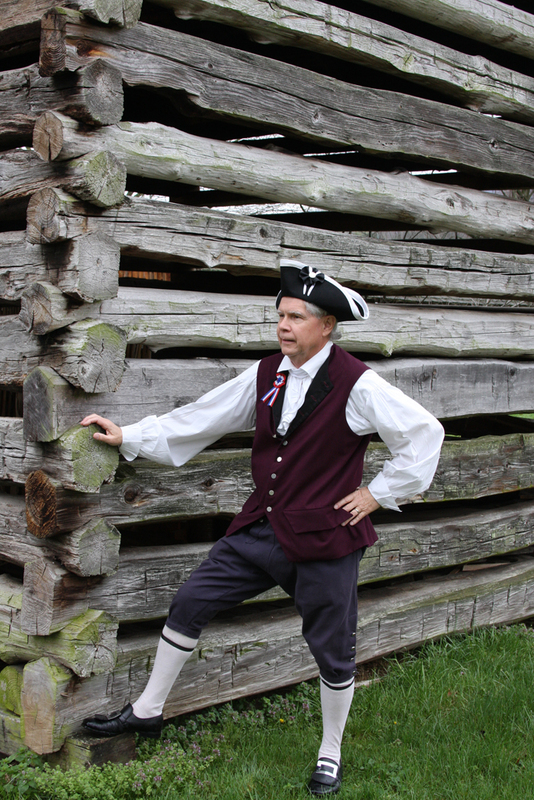 On one of his travels through Northeast Tennessee, Michaux stayed with Colonel Tipton in 1795 and again in 1796. 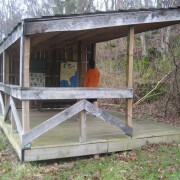 This open spaced lean-to provides visitors with two graphic panels on Michaux and allows nature enthusiasts a relaxing shelter to observe the wildlife of Tipton-Haynes. Also, the outdoor classroom is an excellent setting to explore the André Michaux Activity Box. 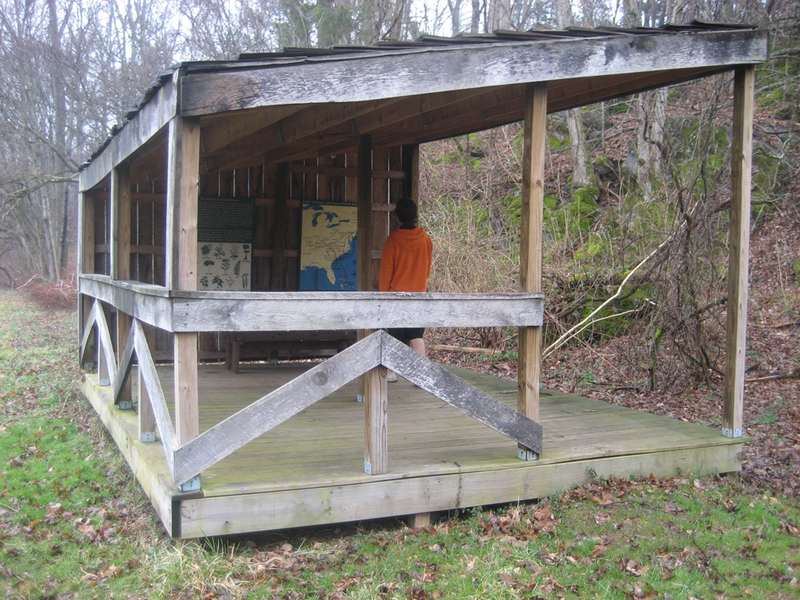 The Michaux lean-to, or outdoor classroom, is situated along the quarter mile nature trail. The Tipton-Haynes nature trail allows visitors to walk an easy to moderate trail while peacefully taking in the sights, sounds, and smells of nature. 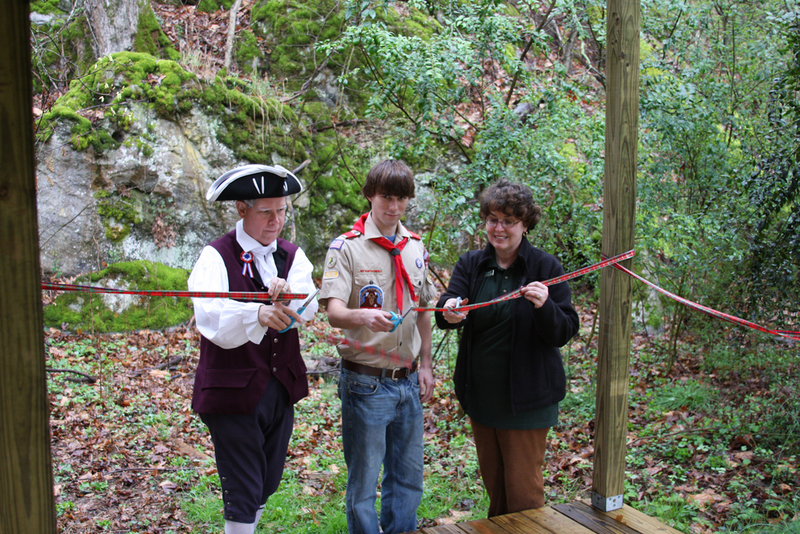 The nature trail brochure provides visitors information for the Michaux lean-to, cave, buffalo trace, and much more that is hidden in our woods.